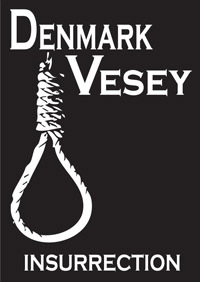 Denmark Vesey: Insurrection brings to life the dramatic story of Denmark Vesey, a free black man, who along with 34 others was executed in the summer of 1822 for allegedly plotting a massive slave uprising in Charleston. But was Denmark Vesey’s fate sealed by insurrection or injustice? Even at the time of Vesey’s trial, troubling questions were raised about the nature of the secret tribunals convened to try Vesey and his co-defendants. Set on the eve of Vesey’s execution, Denmark Vesey: Insurrection ponders the lingering and unanswered questions of this controversial case, a case that remains relevant even to the present day.